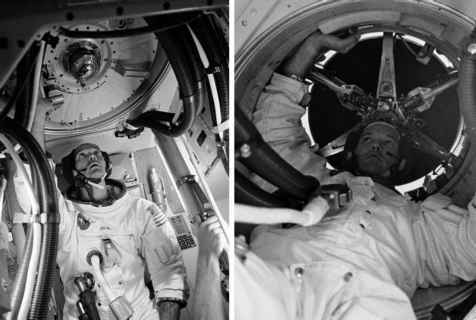 Ed Mitchell, LMP on Apollo 14, once wrote, ''Preparing for a burn is a serious business, and before each one, Stu [Roosa] would announce, 'It's sweaty palms time again, gentlemen'.'' The TEI burn was the one where mission control sweated more than usual, and that of Apollo 8 on Christmas Eve of 1968 was viewed with greater apprehension than any other, simply because it was the first. Its CSM was only the second Apollo spacecraft to have flown in space, and they had sent it and its living human cargo all the way around the Moon. While the engineers had complete confidence in the reliability of the SPS engine, there was always a deep fear that, somewhere in the system, human frailty would cause a problem. In the MOCR, a clock counted down to the moment when, if the burn had gone well, the spacecraft should come around the limb. The Earth station at Honeysuckle Creek in Australia was most favoured, and listened carefully for the slightest indication of the Unified S-band (USB) radio signal from the spacecraft. The time for acquisition of signal (AOS) arrived, and almost immediately, engineers at Honeysuckle reported a USB signal coming from the spacecraft. ''Apollo 8, Houston,'' Capcom Ken Mattingly called out to the crew as the engineers in Australia worked to lock the great dish's receivers and transmitters onto the spacecraft. ''Apollo 8, Houston. Apollo 8, Houston,'' continued Mattingly. ''Houston, Apollo 8. Over,'' called Jim Lovell from the speeding spacecraft. ''Hello, Apollo 8. Loud and clear,'' replied Mattingly, speaking on behalf of all at mission control, all of them relieved that they had pulled off the most daring part of the flight. When Columbia similarly reappeared on time after Apollo 11's TEI burn, Duke was ready to quiz the crew. The Moon's far side from Apollo 15 as it departed for Earth. Jenner is at the top with its central peak, and Vallis Schrodinger is the gash near the bottom. were now officially in quarantine and were destined to spend most of the next three weeks isolated in the Lunar Receiving Laboratory in Houston. Dave Scott concurred with how well the SPS worked on Apollo 15: ''What a smooth burn that one was. Just can't beat these rocket engines for travelling.'' 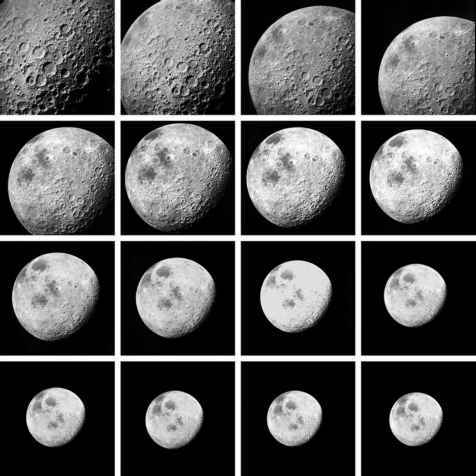 On his mission, and all the J-missions, it was customary to adjust the spacecraft's attitude so that the mapping camera could photograph the retreating Moon, and perhaps image more of the polar regions which had been relatively poorly covered by the Lunar Orbiters. Each succeeding exposure showed the Moon receding further and further into the darkness of space. 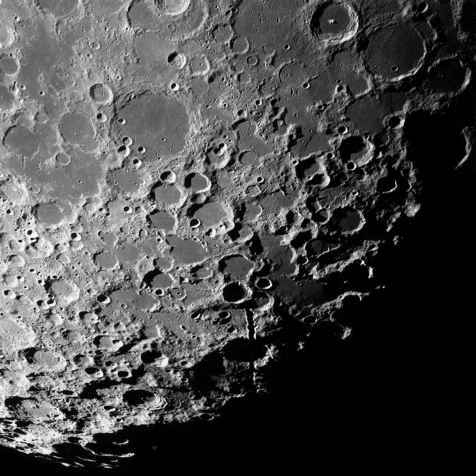 Apollo 16's view of the receding Moon taken by its mapping camera. At first, only the far side was visible, but gradually, the eastern mare came into view. When it left Earth, the service module's tanks were loaded with 18.5 tonnes of propellant. By the time the CSM was on its way back to Earth, the majority of this had been used. What remained had been kept aside as a contingency in case the CSM had to make manoeuvres to rescue a stricken LM in lunar orbit. For the Apollo 8 flight, with no LM to transport to lunar orbit, the tanks were still a quarter full after TEI, while for Apollo 11, which did have a heavy LM, only an eighth remained. Not all of this remaining propellant was usable. By Apollo 17, the planners had become more knowledgeable about the spacecraft and its capabilities and felt confident to plan the mission such that, after TEI, only 4 per cent of usable propellant remained in its tanks.